The ProLiant DL360 Gen10 Entry - rack-mountable server from Hewlett Packard Enterprise is an ideal unit with low energy consumption and delivers outstanding performance in the converged data centre space with security and flexibility without compromise. 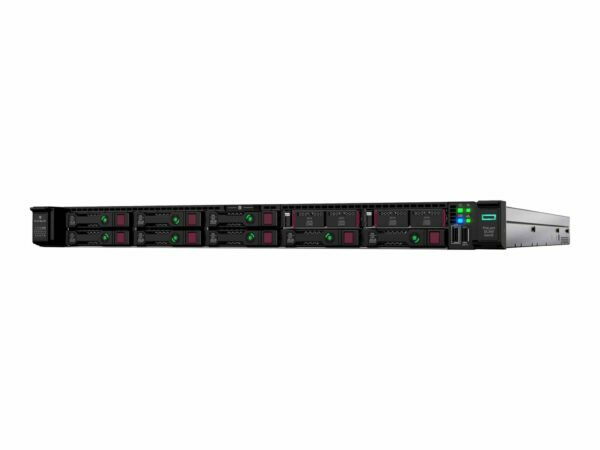 The HPE ProLiant DL360 Gen10 Server with SATA (SATA 6Gb/s) (HPE Smart Array S100i SR Software) storage controller is adaptable for diverse workloads, virtualization and environments. The 2 way ProLiant DL360 Gen10 Rack Mountable Server from Hewlett Packard Enterprise delivers excellent execution with the correct equalisation of expandability and scalability to data centre space where right performance are paramount.